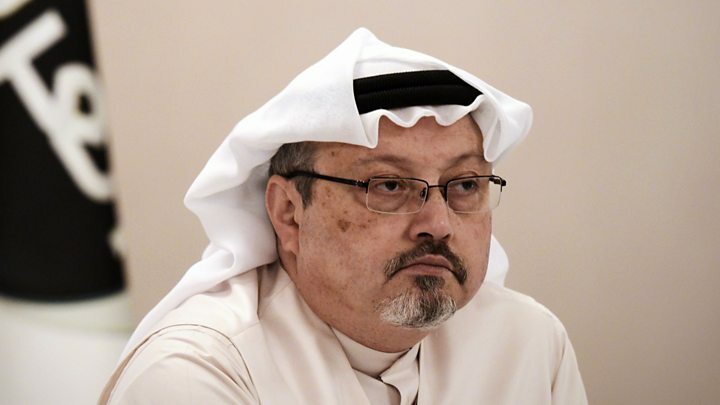 Turkish officials have audio and video evidence that shows missing Saudi journalist Jamal Khashoggi was killed inside the Saudi consulate in Istanbul, the BBC has been told. Turkish intelligence had “documented evidence” of the murder, a source close to the investigation said. Jamal Khashoggi’s disappearance and reported death have prompted international outrage and dented business confidence in Saudi Arabia. Tycoon Sir Richard Branson has halted talks over $1bn Saudi investment in Virgin space firms and several top business leaders have pulled out of a Saudi investment conference later this month. What do the recordings reveal? The latest reports suggest an assault and a struggle took place in the consulate. A Turkish security source has confirmed to BBC Arabic the existence of an audio and a video recording. What is not clear is if anyone other than Turkish officials has seen or heard them. One source is cited by the Washington Post saying men can be heard beating Mr Khashoggi; it adds that the recordings show he was killed and dismembered. “You can hear his voice and the voices of the men speaking Arabic,” a separate source told the Post. “You can hear how he was interrogated, tortured and then murdered”. Mr Khashoggi is a contributing columnist for the newspaper. Earlier this week leading columnist Kemal Ozturk, considered close to the Turkish government, alleged there was a video of the moment Jamal Khashoggi was killed. Turkish TV has already broadcast CCTV footage of the moment Mr Khashoggi walked into the consulate for an appointment at which he was due to receive papers for his forthcoming marriage to Turkish fiancée Hatice Cengiz. Separately, a video has emerged of men described as Saudi intelligence officers entering and leaving Turkey. A 15-strong team has been identified by Turkish media who are described as involved in Mr Khashoggi’s disappearance. The BBC has been told that one was Maher Mutreb, an intelligence colonel based in London, and another was thought to be a forensics specialist. Turkey’s official line is that Mr Khashoggi is missing but that it knows “for sure” he has been killed. However, the government has agreed to a joint investigation with the Saudis, and a Saudi delegation arrived in Turkey on Friday to take part in talks expected over the weekend. Their arrival came a day after a senior Saudi royal figure, Prince Khaled al-Faisal, was said to have briefly visited Turkey amid signs that the Saudi monarchy was seeking an urgent solution to the diplomatic crisis between the two countries. Mr Khashoggi’s disappearance threatens the reputation of the new Saudi Crown Prince, Mohamed bin Salman, and his country’s relationships across the world, the BBC’s Turkey correspondent Mark Lowen reports. Jamal Khashoggi’s disappearance and alleged murder has sent a chill through writers and activists, in Saudi Arabia and more broadly across the Middle East. They ask: If this could happen to someone as well known and well connected as Jamal Khashoggi, a US resident and Washington Post writer, what else could happen to the less well-known? Mr Khashoggi did not position himself as a dissident. A former adviser to two Saudi princes, he criticised some aspects of Saudi policy, like the war in Yemen and the lack of free speech, while praising others, like the social reforms of new Crown Prince Mohamed bin Salman. He argued for reform rather than regime change – which is a very widespread stance among Saudis. There are many people there who seek a greater voice in how to improve their society without being enemies of the state.